While Super Skunk Feminized is usually grown indoors, she can also perform well in a greenhouse and in a warm, sunny climate she can even grow and flower outside. Seeds of this classic cannabis hybrid, when planted in large pots or free soil, grow into plants that can achieve truly massive proportions during the course of a good summer. In the late Eighties, Super Skunk was one of the first strains to offer smokers even greater potency than the powerful import hashish that people could buy in Amsterdam coffeeshops at the time, and this super hybrid is still famous for her sweet, pungent flavour and extremely strong high. 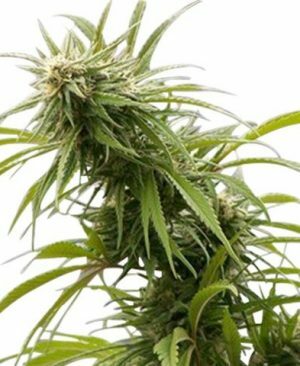 Temperate / ContinentalSuper Skunk Feminized can be grown outside in a normal warm summer. 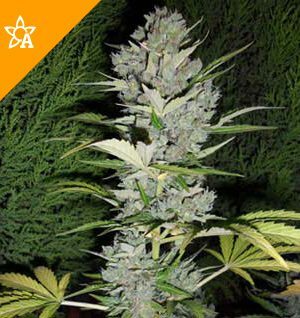 Average height gainSuper Skunk Feminized will have average height gain during flowering. Flowering 45 – 65 daysSuper Skunk Feminized will have a comparatively short flowering time. Yield Heavy YieldSuper Skunk Feminized can produce a very large yield, but may require a little extra care to achieve their full potential. 80% Indica The Super Skunk Feminized strain has large proportion of Indica genes in its background.